Staff Spotlight of the Week is 5th grade teacher, Morgan Bergeron. Morgan teaches 5th grade math, science, and religion. This is her second year at ACS, and first year to teach 5th grade. 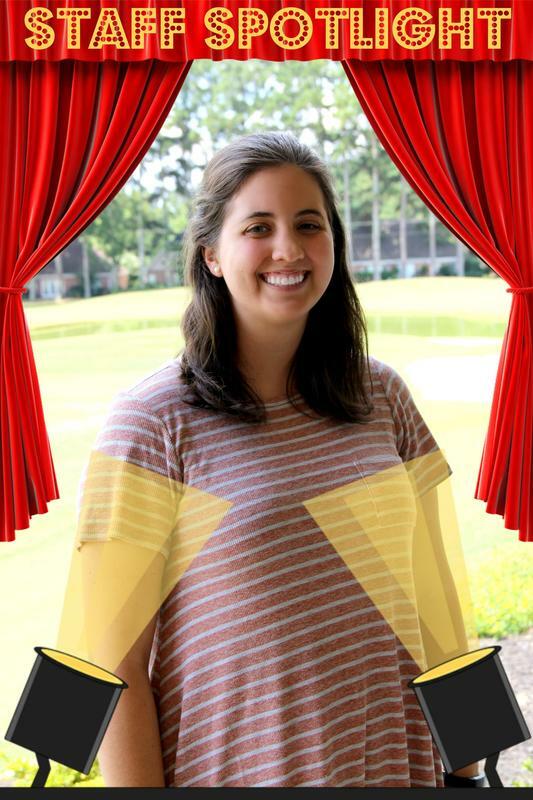 She is originally from Lafayette, Louisiana, where she attended the University of Louisiana and received a Bachelor’s Degree in Early Childhood Education, with an add-on in Elementary Education, certifying her for prek-fifth grade. Morgan and her husband moved to Columbus in the summer of 2017 with her husband's job, where she discovered ACS and began as an inclusion teacher shortly thereafter.